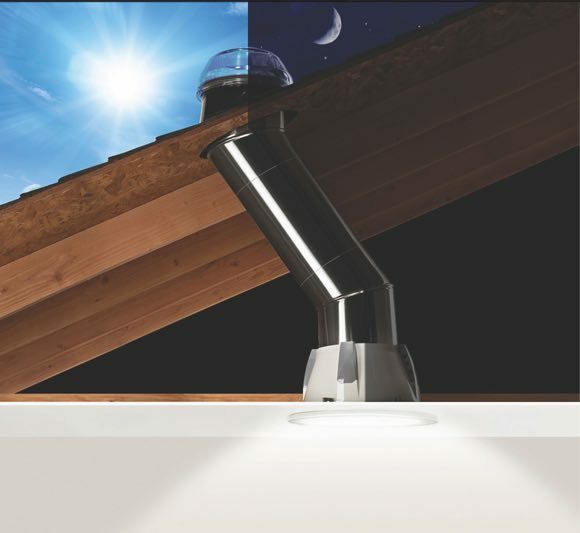 The Solatube Smart LED Light combines the best of daylighting with electric light. The tube contains small LED lights that automatically turn on and off when light levels fall below a set minimum. As the sun fades, or if it goes behind a cloud, the LED lights turn on so there is consistently light in the room. The LEDs in the Solatube Smart LED are so efficient that they can massively decrease your lighting costs, when combined with the occupancy sensor. This is not only because the bulbs are so efficient, but also because of the reflective material that sits behind the bulb. This reflective material directs light away from the base of the bulb and back into your home. Imagine never having to flick on a light switch again. Struggling to carry something in the door, you would never have to struggle to find the light switch in the dark. That's now possible because the Solatube smart LED light has an optional 'occupancy sensor' that can tell when someone is in the room. When this occupancy sensor is triggered the Smart LED Light will turn on automatically. Because we have optimised both the tube and the light bulbs for efficiency, the Solatube Smart LED light is not only cost efficient, it is also better for the planet. Over the life of the LEDs within your Solatube Smart LED you will save over a ton of CO2 being released into the atmospherre compared to if you used regular light bulbs. Find out how the Solatube Smart LED Light can work for you. Otherwise, you can check out the Solatube Ventilation Solution.